I am lucky to have a profession I love and am passionate about. Changing the self-esteem and confidence of my patients by giving them a beautiful smile is immensely rewarding, both personally and professionally. 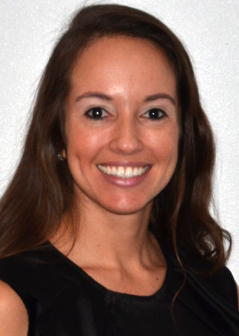 As an orthodontist, I help bring about amazing changes in the lives of my patients. Not only do I straighten their teeth and develop great smiles, but the treatment also creates stronger oral health and ensures they will have fewer dental problems in the future. When a person has a healthy smile — one that they love — they share it more often and are more comfortable in every interaction. My work enables me to improve the emotional and physical health of people in our community. It’s tremondously rewarding, and I love every minute of it. I am a firm believer in continual learning, no matter what one’s profession. In orthodontics, though, there are constant developments in treatments, materials, and new technologies. By pursuing continuing education I am able to stay at the leading edge of these changes, and ensure my patients receive the highest level of care and have access to the best treatments. I have chosen to complete a voluntary certification, one obtained by only 25% of the orthodontists in the United States: I am a Diplomate of the American Board of Orthodontics. I am humbled to have recently been honored as the Reader's Choice for Best Orthodontist in Inland Empire Magazine. I’m originally from Ponce, Puerto Rico. After studying and working as a dentist and researcher in New York City, I moved to Cleveland, OH, for my orthodontics program. It was there I met my husband. 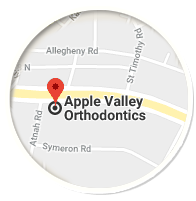 We moved to California and I was in private practice in the Los Angeles area before coming to Apple Valley in 2011. When I’m not caring for my patients, being with my family is my priority and enjoying my time with my beautiful twin girls. I enjoy staying healthy and fit. Traveling is a passion of mine, especially spending time with my family on the beaches of Puerto Rico. We invite you to follow our office on Facebook.